Being on safari is such an awesome experience but if I had to pick my least favorite part, it would have to be the transfers. In some cases, your transfer might be an hour drive to your next camp which isn't so bad. We had a bunch of those 1-hour transfers since we had to check out a lot of nearby camps while in Botswana and Zimbabwe. In other cases, your transfer might be a drive, a plane ride, plus another drive, and it just wears on you after a while cause all you want is to get to your next destination... and see more animals! 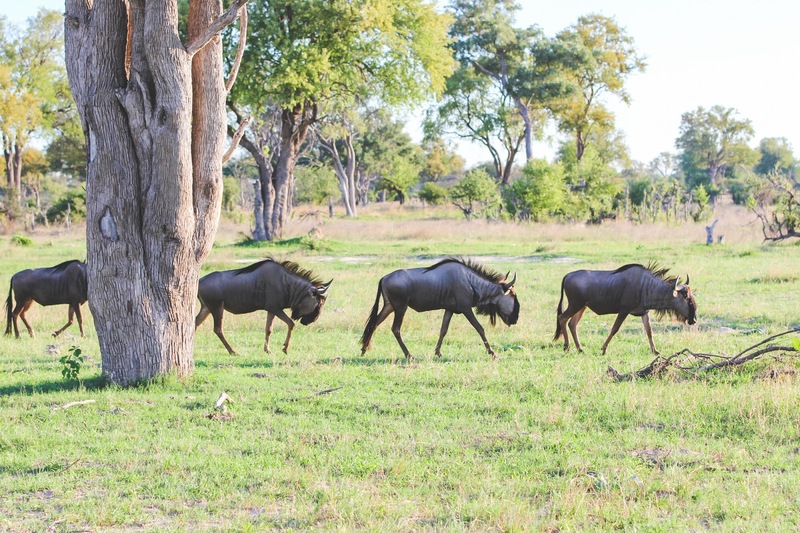 Our longest transfer was when we left Chobe Chilwero Lodge in Botswana and headed towards Camelthorn Lodge in Zimbabwe. 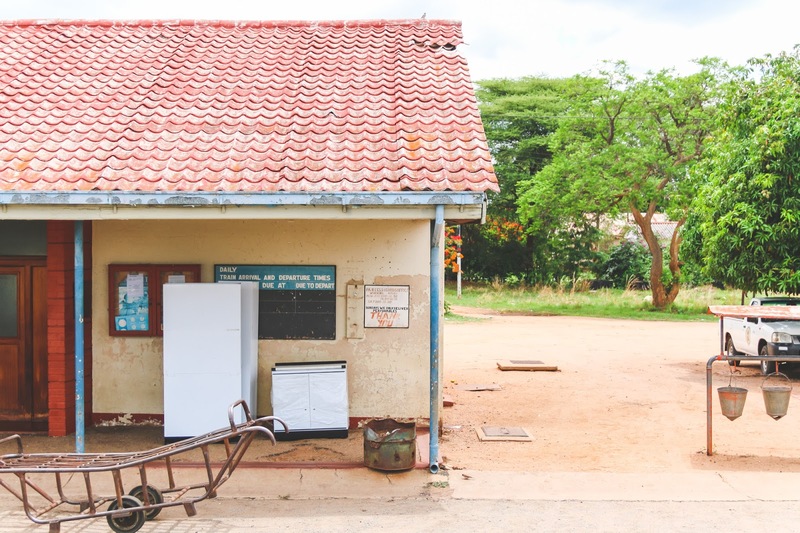 Our driver picked us up in the morning and took us to the Botswana/Zimbabwe border which was about 30 minutes away where we had to wait in line to get our Zimbabwe tourist visas. 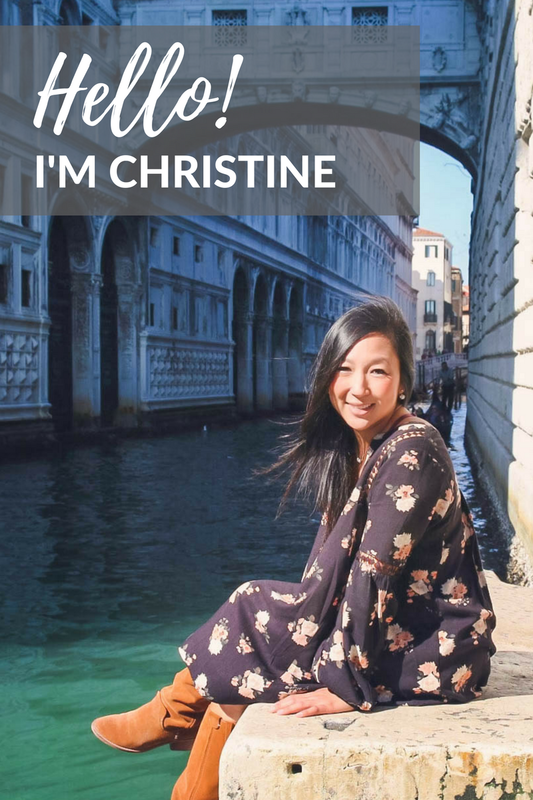 For Americans, make sure to have $30 in cash (US) for your visa. After we got squared away there, another driver drove us from the border to Victoria Falls which was about an hour away. He dropped us off at The Victoria Falls Hotel while he went and got gas and drinks for the vehicle. From Victoria Falls, we drove another 2 hours to Dete, Zimbabwe where we got dropped off at a train station. Stay with me. At this point, I just wanted to get to our destination, plus I didn't know what to expect with the train. After waiting about half an hour, this cute green single railcar showed up with smiling faces. It was Imvelo's The Elephant Express. 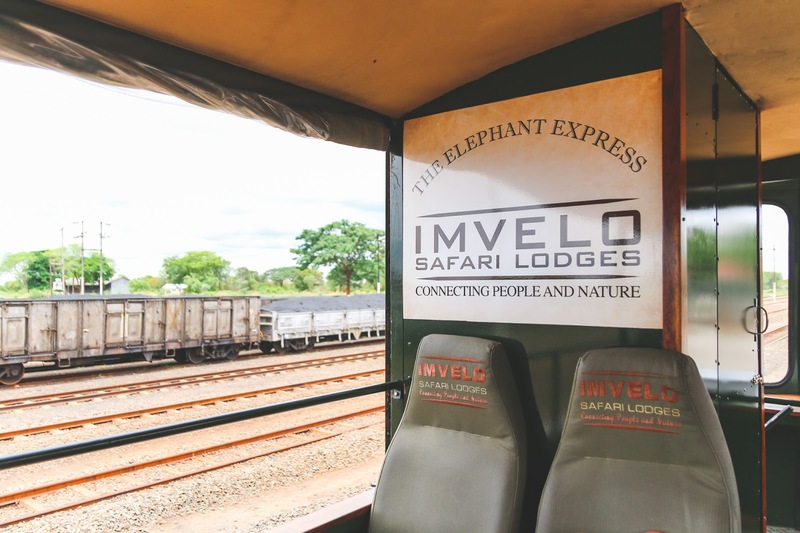 In 2015, Imvelo introduced The Elephant Express as their unique transfer to and from their camps in Hwange National Park. When I saw the railcar pull up, my tiredness went away, and I was immediately excited for the last leg of our transfer. Our guide, Vusa, along with the two train engine drivers were on board, and made us feel at home. Vusa served us a much needed lunch (Lyndon and I were both starving at this point) and told us more information about The Elephant Express and Imvelo Safari Lodges. The Elephant Express is such a great idea. 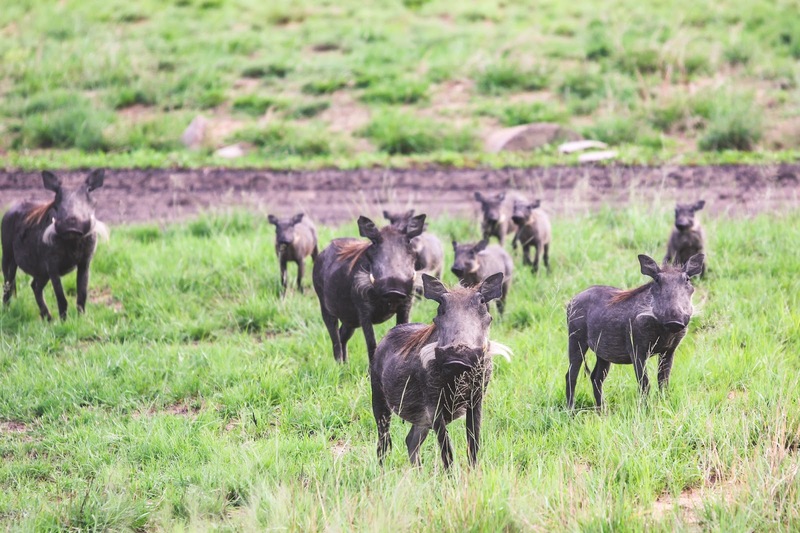 It combines a transfer with a game drive and makes the most of your time in Zimbabwe. 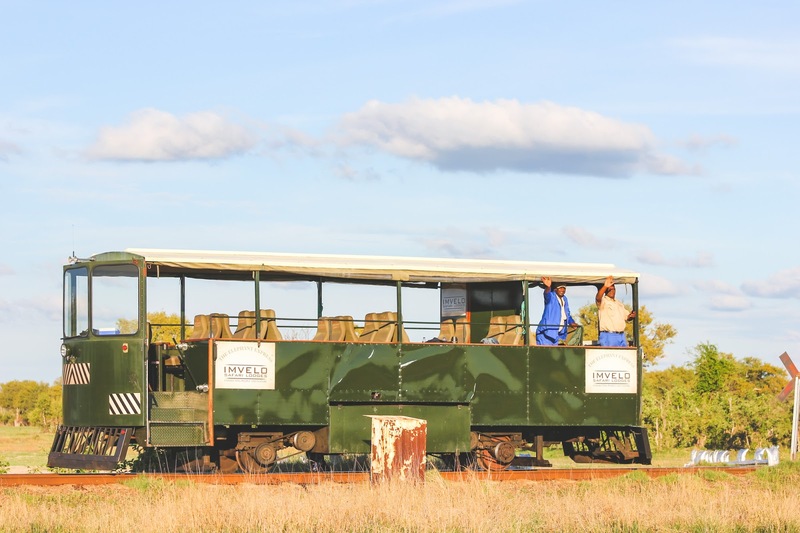 The ride time from the Dete railway station to camp is about 2 hours but since it's unofficially also a game drive, it does stop when animals are spotted. It took us about 3 hours to get to camp. 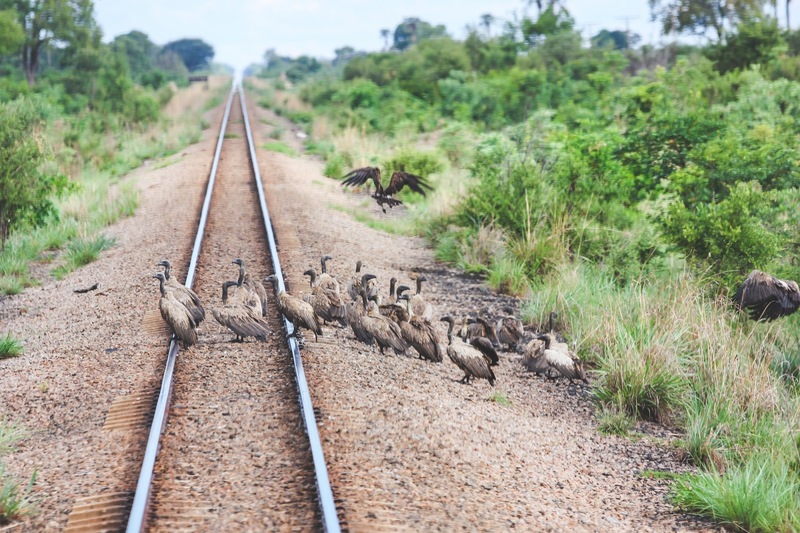 We saw a male elephant in the forest, a warthog family, baboons for days, vultures feeding off an elephant that was hit by a passenger train recently... all from the railcar. 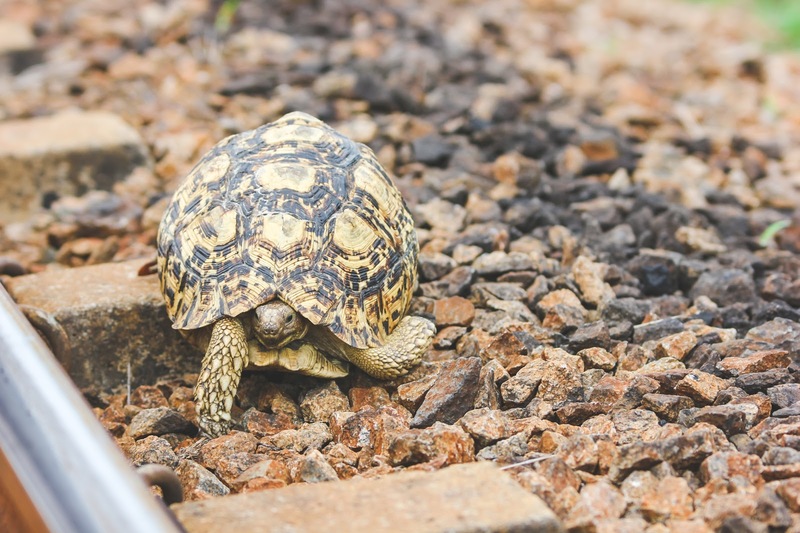 Our most unique stop was for a leopard tortoise that was sitting right by the tracks. Great spot by our driver, it could have been a very bad day for that tortoise! 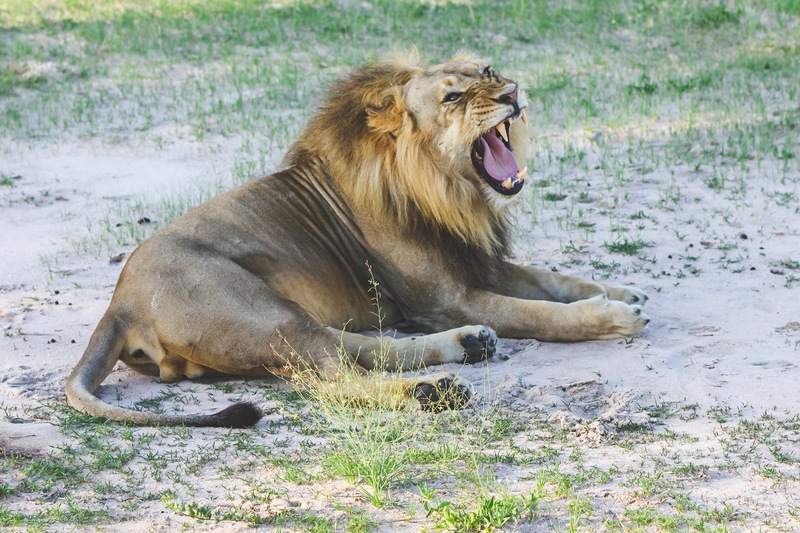 Back in 2015, the killing of Cecil the Lion made headlines in the United States (and around the world) cause a dentist (and recreational game hunter) from Minneapolis went to Zimbabwe to hunt and kill a lion. 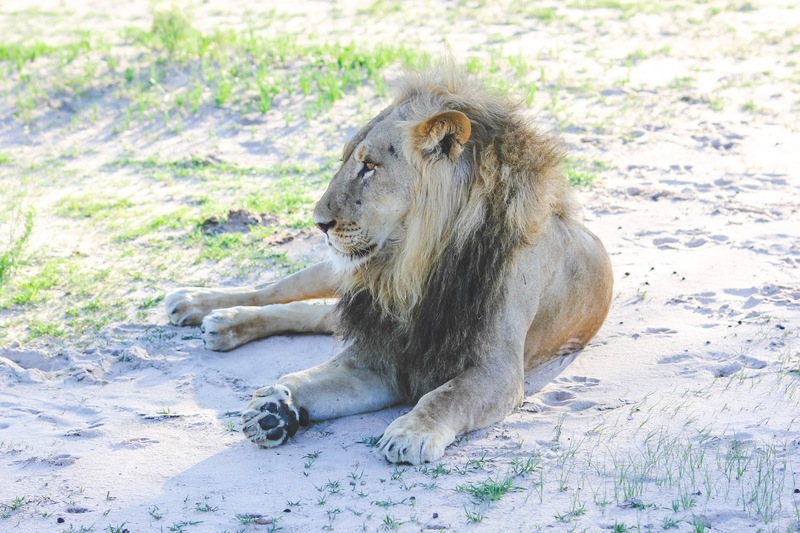 He killed Cecil, a beloved 13 year old lion from Hwange National Park. 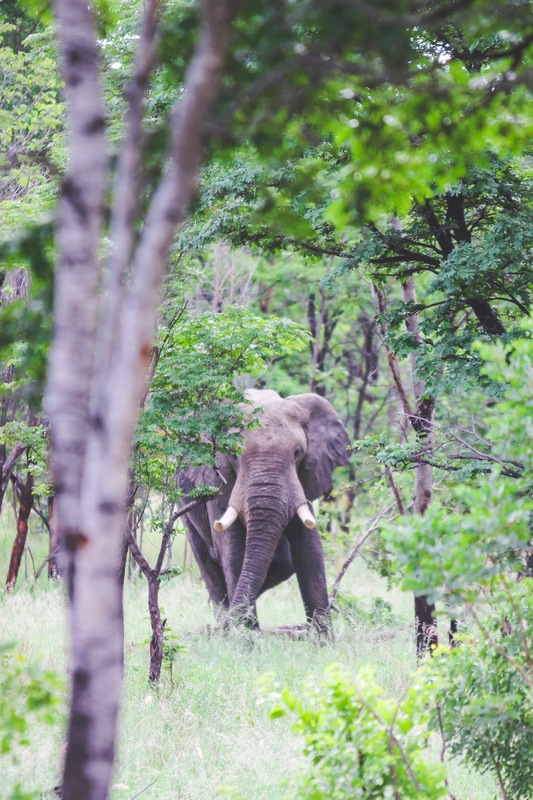 There was some controversy, and the hunting guide that the dentist used while in Zimbabwe faced a criminal investigation. 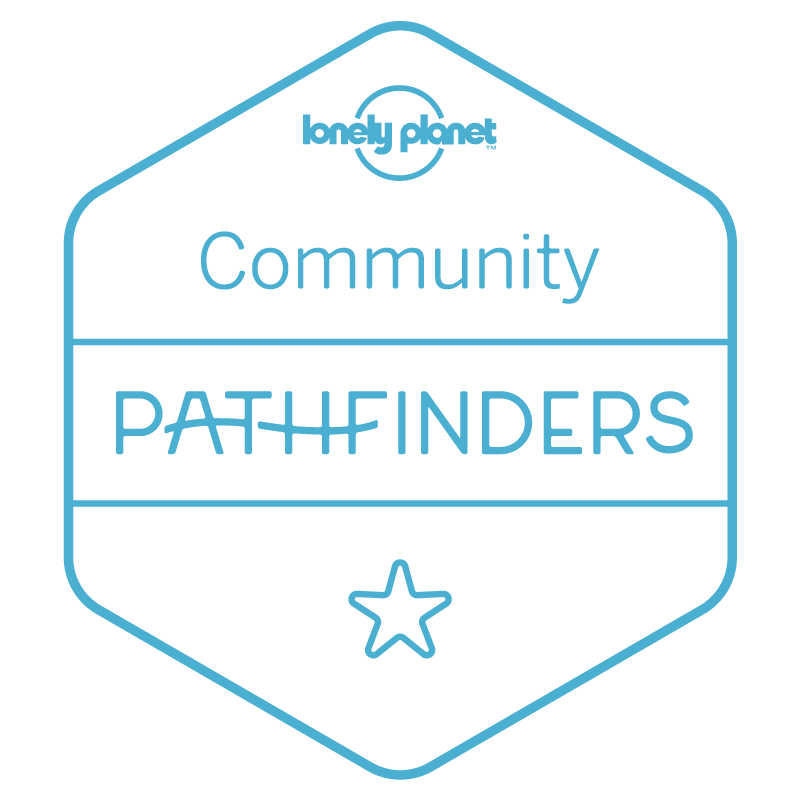 The railroad track acts as a border between the national park and private land and a lot of animals roam freely back and forth across the tracks but unfortunately for Cecil and other animals, he stumbled upon a piece of land that allows hunting. 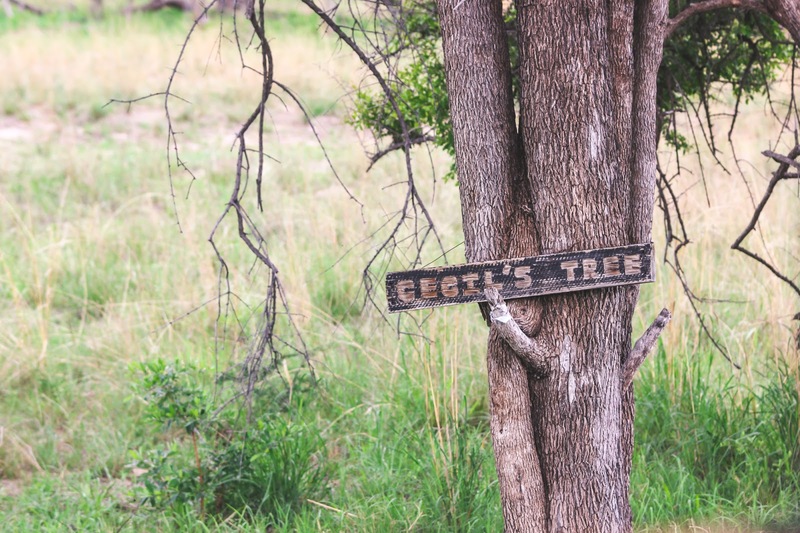 During our train ride, you can spot a sign that reads "Cecil's Tree" posted onto a tree. He is greatly missed in this part of Zimbabwe. During the final stretch of our train ride, Vusa spotted a worried looking wildebeest staring at something in the near distance. Using his binocular, he spotted a male lion... the brother of the dominant male in the pride to be exact. The lion was actually pretty far away, so Vusa called up to the camp and they sent out a vehicle to meet us at the tracks. Talk about service! Once the vehicle got to us, Vusa, Lyndon and I hopped in and he drove us closer to the lion. This was my first close encounter with a male lion, and it was awesome. He wasn't bothered by us at all. While lions are known to be killers and the "king of the jungle", they are actually pretty chill (as long as you're not prey). The majority of the time when you see a lion, it's most likely sleeping. Reminds me of my dog, Jax. 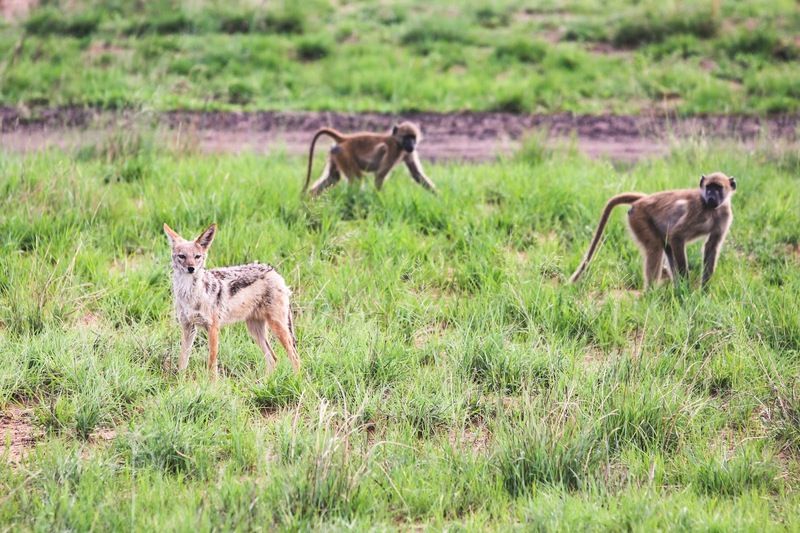 What started out as a super long transfer, turned out to be a great game drive in the end. The Elephant Express was such an unique experience, and my first impression of Imvelo was nothing short of great. This was just the beginning of our time with Vusa and Imvelo, and I can't wait to share more on the blog in the coming weeks. 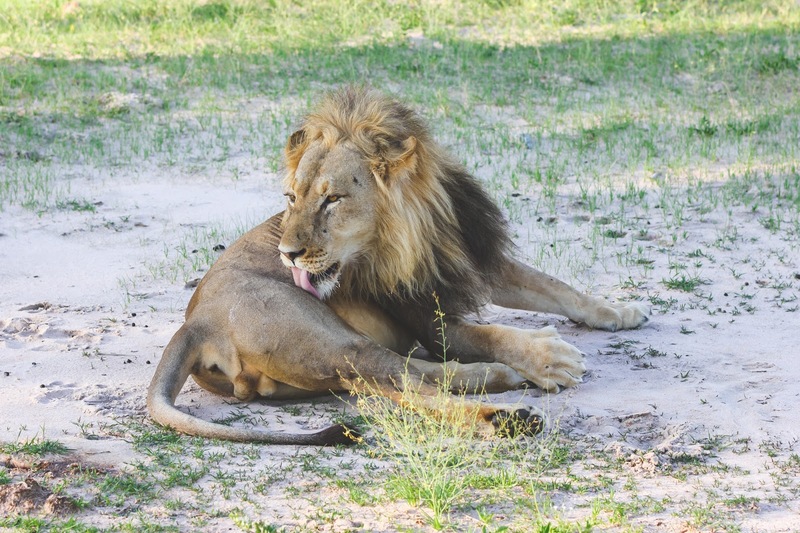 I have to say, we couldn't have asked for a better start to our Hwange National Park adventure. 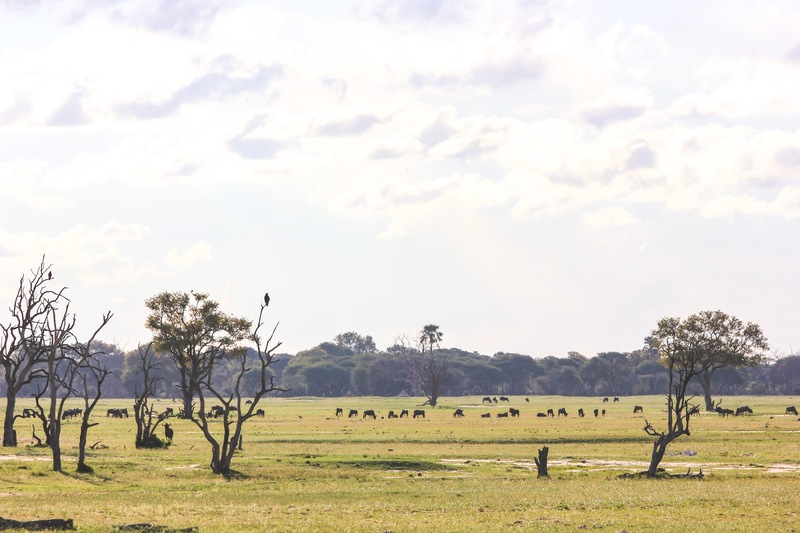 Staying in Hwange National Park at an Imvelo Safari Lodge? Definitely try to use The Elephant Express. 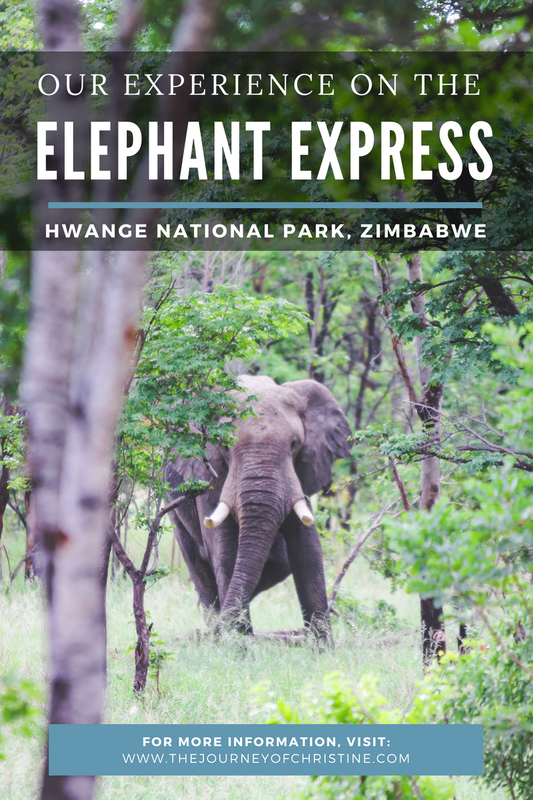 Of course, if you are short on time or are trying to make a flight, using The Elephant Express might be hard or not an option, but if you get that opportunity, it's a pretty once in a lifetime experience.